Children love to dance -- You Can Dance will introduce them to basic moves that will help them develop natural rhythm and motor skills, in addition to an active imagination. 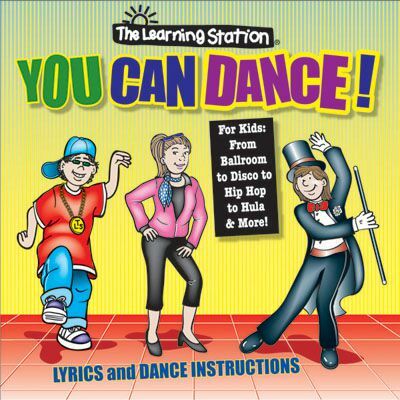 Everyone will be dancing like the stars with this dance fitness CD brimming with every style from ballroom to disco -- hip hop to hula. There is even a traditional Rain Dance, Cha Cha, Foxtrot, Salsa, Stroll and celebration of Dances from around the world. What an excellent way for children to have fun while staying healthy and in shape. Lyrics and Dance Instructions are Included.